This Fantasy Water Wall is concave into the wall to provide depth and uniqueness for any wall scape. 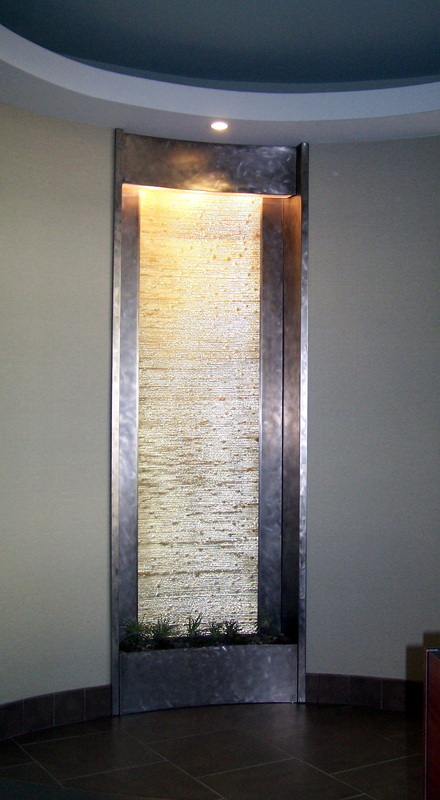 Become mesmerized as water flows down a beautiful gold Bios panel that shines bright with dramatic lighting. 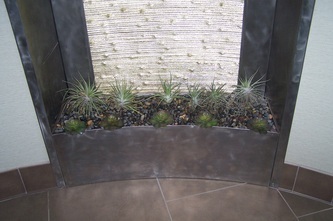 As the water makes its way down, it ends its course by reaching a beautiful bed of air plants and pebbles. This water feature will provide natural acoustics of flowing water while dazzling the eyes with a concave design that naturally draws attention.